Celebrate Diwali with your loved ones back home with Dhs 500 travel voucher from Tajawal.ae! Tajawal is celebrating the festival of lights and wants to bring you closer to your loved ones! The Dubai-based online travel platform which was launched in 2016, is giving you the opportunity to fly back home for less, with a Dhs 500 travel voucher to use for flight bookings. 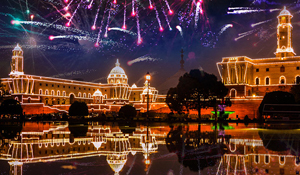 With several affordable flight options available to India in celebration of Diwali on Tajawal.ae, celebrating with friends and family this festive season has never been easier! Whether you enjoy gift giving, buying gold or eating the delicious Indian sweets, the festival is better celebrated with loved ones.